Women rock! We are fantastic climbers. We have style, poise, grace, flexibility... We "climb like a girl"! Well now, we are offering you a chance to come on a Women Only Climbing Holiday. Depending on the availability of our female instructors, they are organised in the Costa Blanca or Haute Provence. Women tend to climb differently to men. Because they generally can't rely on brute force to get them up a route! 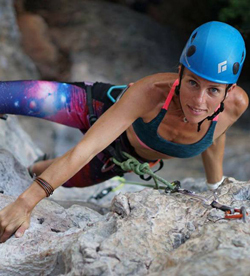 Our female climbing instructors, Jude Spancken, Esther Foster, Robyn Nelson and Desiree Verbeek have explored ways of maximising the strengths of women: flexibility, focus, creativity, and inner strength. Thereby maximising women's climbing potential and enjoyment. 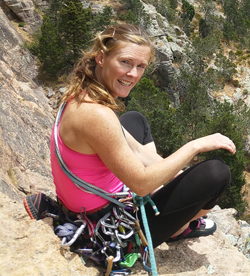 All Rock & Sun's female instructors are experienced climbing coaches with a true passion for the sport. They will aim to give you the best climbing experience. They can coach you and improve your climbing technique so you'll learn how to climb more efficiently. Also they could work with you on other areas of your climbing that might need some attention. For instance how to deal with insecurities, fear of falling, or fear of failing. Furthermore, an all women environment can give encouragement and like mindedness that you don't always get from our gorgeous macho males! 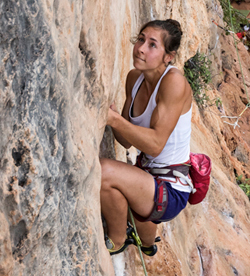 The BMC promotes gender equality within rock climbing. One of their campaigns is This Girl Can Climb. I had a fantastic time on the Women Only trip to Spain! We had 2:4 instructors to climbers - a great ratio, especially when I was expecting 1:6! It meant that, when they weren't off setting up new routes for us, we had either Esther and Dees full attention. Dees knew the rocks like the back of her hand which meant there was no time wasted on unsuitable routes or working out which climbs to do. They added quickdraws for us, extending with slings where the bolts were sparce. This was a perfect introduction for me as a new leader. It meant I could concentrate on clipping in efficiently and enjoying the climbing. As expected, climbers and instructors were friendly, fun and inspiring. Both Dees and Esther were ever patient with my questions and their different approaches worked well together. They also supplied me with some more aggressive shoes which made a huge difference to my climbing. Overall a fab experience. I arrived having done one or two F4/5 lead climbs indoors and not for a year or so. I left having led F6a+ and confident at lead belaying and cleaning. We had 2:4 instructors to climbers - a great ratio, especially when I was expecting 1:6! It meant that, when they weren't off setting up new routes for us, we had either Esther and Dees full attention. Dees knew the rocks like the back of her hand which meant there was no time wasted on unsuitable routes or working out which climbs to do. They added quickdraws for us, extending with slings where the bolts were sparce. This was a perfect introduction for me as a new leader. It meant I could concentrate on clipping in efficiently and enjoying the climbing. As expected, climbers and instructors were friendly, fun and inspiring. Both Dees and Esther were ever patient with my questions and their different approaches worked well together. They also supplied me with some more aggressive shoes which made a huge difference to my climbing. Overall a fab experience. I arrived having done one or two F4/5 lead climbs indoors and not for a year or so. I left having led F6a+ and confident at lead belaying and cleaning. Thank you! ... and I think Rock and Sun have a solid foundation on which to build a more structured course. For example drills on using feet/legs rather than arm strength, small steps, weight distribution, and video coaching. These are the skills that I have learnt on past trips with Rock and Sun, and to be honest, have never been coached on by any other instructor anywhere in the world. Climbing with Dees and Esther was an absolute joy. They were professional, patient and so supportive. With their encouragement I was able to top rope and strip my first 6a which was a huge achievement for me. ... and I think Rock and Sun have a solid foundation on which to build a more structured course. For example drills on using feet/legs rather than arm strength, small steps, weight distribution, and video coaching. These are the skills that I have learnt on past trips with Rock and Sun, and to be honest, have never been coached on by any other instructor anywhere in the world. Climbing with Dees and Esther was an absolute joy. They were professional, patient and so supportive. With their encouragement I was able to top rope and strip my first 6a which was a huge achievement for me. It was absolutely fantastic to just climb for once with only girls! 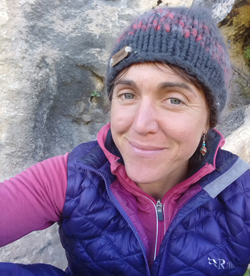 would say with more of feel of a climbing holiday then a women specific coaching course. Despite the course maybe not being what I expected in terms of structure/coaching, it definitely has helped me progress. I think one of the very positive things has been the mileage. 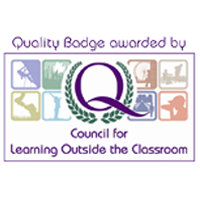 I never had the chance to lead climb so many routes in the lower grades every day and that has definitely helped me, as well as the falling practice. I definitely got a lot out of the week with Rock and Sun and next time I will book myself on a performance coaching course. Much more laid back, refreshing and inspiring. It was a brilliant week where we visited some fantastic climbing areas that had something for every level. Overall I had a really good week and met a superb bunch of girls but I would say with more of feel of a climbing holiday then a women specific coaching course. Despite the course maybe not being what I expected in terms of structure/coaching, it definitely has helped me progress. I think one of the very positive things has been the mileage. I never had the chance to lead climb so many routes in the lower grades every day and that has definitely helped me, as well as the falling practice. I definitely got a lot out of the week with Rock and Sun and next time I will book myself on a performance coaching course.